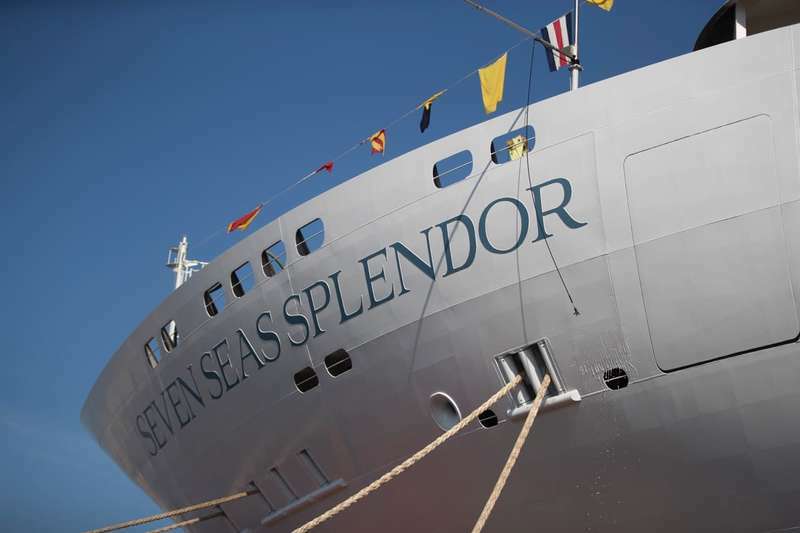 "Seven Seas Splendor” was launched last Saturday at the Ancona shipyard. It is the second super luxury cruise ship that Fincantieri is building for Regent Seven Seas Cruises, brand of the Norwegian Cruise Line Holdings Ltd (NCLH). The delivery is scheduled for 2020. Like its sister ship “Seven Seas Explorer”, delivered by Fincantieri at the Sestri Ponente (Genova) shipyard in 2016, “Seven Seas Splendor” will be 55,000 gross tonnes with accommodation for 750 passengers. Last January the industry has received an order from NCLH for a third unit of the series, which will be delivered in 2023. The construction process will implement the latest environmental-friendly technologies. The interiors will be particularly sophisticated, with every attention paid to passenger comfort.